On Monday, millions of Americans put on their glasses (hopefully) and took in a rare total eclipse. 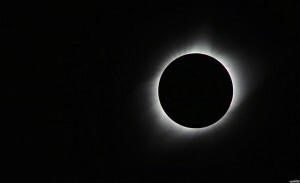 While 14 states were in the dark for a couple of minutes as the moon covered the sun, the power grid in the United States was put to the test. This was especially true in California where roughly 3,400 megawatts of output quickly disappeared after 9am Pacific time, according to the California Independent System Operator (ISO). In order to replace solar production temporarily, natural gas-fired power plants and hydroelectric dams were called upon, and in some cases power was imported from neighboring states. In North Carolina, Duke Energy said solar capacity fell about 1,700MW at the peak to 100MW, however the company had no trouble compensating for the loss of solar power. This trend continued across the country as ultimately the US power grid passed the test and the results bode well for the future of solar power.